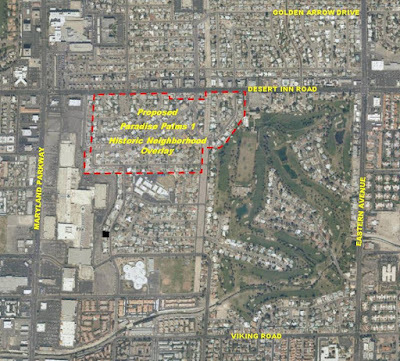 The Paradise Town Board unanimously recommended approval of the Paradise Palms I bid to become the first neighborhood within unincorporated Clark County to apply for the Historic Neighborhood Overlay designation. A presentation was made by the Michelle Larime of the Nevada Preservation Foundation highlighting the history, significance and unique architecture that sets Paradise Palms above the rest. Paradise Town Board Members Jon Wardlaw, John Williams, Robert Orgill, Bart Donovan and Chair Susan Phillip all recognized the commitment and time that has been invested in this process, and complimented the willingness and desire of the community to be the first in the County to commit to historic preservation. The Town Board voted 5-0 to recommend approval to the Board of Clark County Commissioners, with the final step in the journey being final approval at the February 8th Clark County Board of Commissioners meeting. The Nevada Preservation Foundation (NPF) has done a wonderful job getting us to this point; their assistance has been greatly appreciated. For more information, please visit NPW’s website at www.npf.org. The Nevada Preservation Foundation was hired by the Paradise Palms Neighborhood Organization to gain a local listing as a historic neighborhood with Clark County. 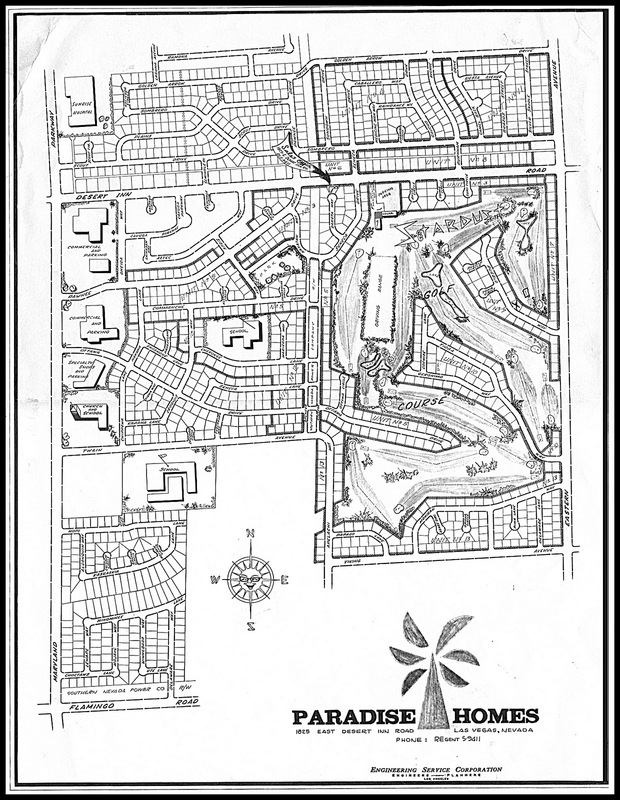 The entire Paradise Palms residential development is made up of approximately 1,000 homes and is located both north and south of Desert Inn Road between Maryland Parkway and Eastern Ave. In order to make this project more manageable, the development has been divided into different areas, determined by historic features and boundaries that provide a logical way in which to divide the subdivision. Over the next several years, we will be moving through each area one by one, and work with the neighborhood to give each of these areas the opportunity to be named a Historic Neighborhood. 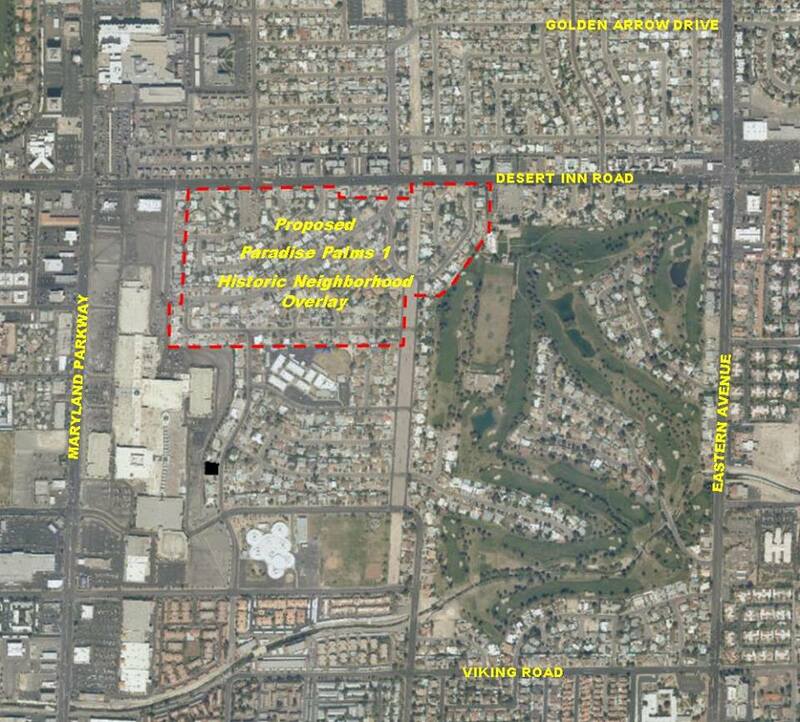 The first area, identified as Paradise Palms I is loosely bounded by Desert Inn Road to the north, Commanche Drive to the south, Spencer Street and Seneca Drive to the east, and Oneida Way to the west. It encompasses Units 1 and 2, parts of Units 3 and 5, and Unit 9. Over the past two years, we have worked with the neighborhood residents, primarily in collecting the 51% of signed support that is needed to submit the application to the Clark County Planning Department. These outreach efforts have included public neighborhood meetings, informational mailings, and door to door canvases to answer questions and meet face to face with many of the residents living inside the proposed boundaries. The 51% of signed support goal was reached in May of 2016 and we are now working diligently on the application for creating a historic overlay for the proposed district with Clark County. The application is due to be submitted before the end of 2016, and pending the approval votes needed by two governing boards in Clark County, we are well on our way to getting Paradise Palms I listed as the first historic neighborhood in Clark County!